In late 2013, IMA first heard murmurs about a newcomer called Riley M whose arrival in New York was sending shockwaves throughout the fashion industry. 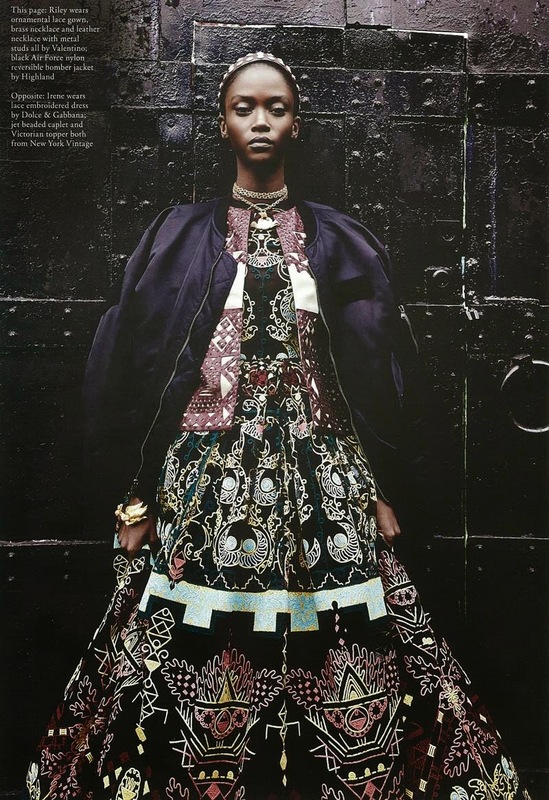 Fast-forward six months and Detroit native Riley Montana has stunned high fashion denizens via a Spring/Summer 2014 Givenchy campaign berth and a stellar runway debut at the Fall/Winter 2014 collections. The New York Model Management-repped beauty cast a magical spell over proceedings at the Fall/Winter 2014 shows via blue chip appearances at Rodarte, Oscar de la Renta, DKNY, Peter Pilotto, Marios Schwab, Nina Ricci, Balmain, Bottega Veneta, Trussardi, and Rochas. Montana's lithe 178 cm silhouette, flawless mahogany complexion, and spectacular feline features have been equally ubiquitous on the editorial front with photographers, fashion editors, and casting directors optioning the versatile newcomer for plum editorial jobs. This year alone, Montana has graced the pages of Paris Vogue, W, American Harper's Bazaar, CR Fashion Book, i-D, V Magazine, French Numéro, and Love, and this is just the beginning. IMA had the pleasure of meeting and observing Montana in action during the castings and fittings for Oscar de la Renta's Fall/Winter 2014 show. Twenty-two year Montana possesses all of the necessary physical DNA required for modelling success however it is her strong sense of self, humility and kind spirit that will ensure her greater longevity in the ever-fickle world of fashion. Unlike some of her modelling contemporaries who have achieved overnight success, Montana displays a genuine appreciation and gratitude for the opportunities that have come her way. Montana took time out from her frenetic schedule for an exclusive heart-warming chat about her humble beginnings at Radio Shack to her stunning debut gig for Givenchy, the New York Model Management family that she now calls her own, and the thrill of saying hello to American Vogue's Anna Wintour. Inoubliable Model Army (IMA): Hi Riley, congratulations on a stunning debut at the Fall/Winter 2014 collections and on making it onto IMA's Top 10 Newcomers List! How are you feeling post-Fashion Week and did the show season live up to your expectations? 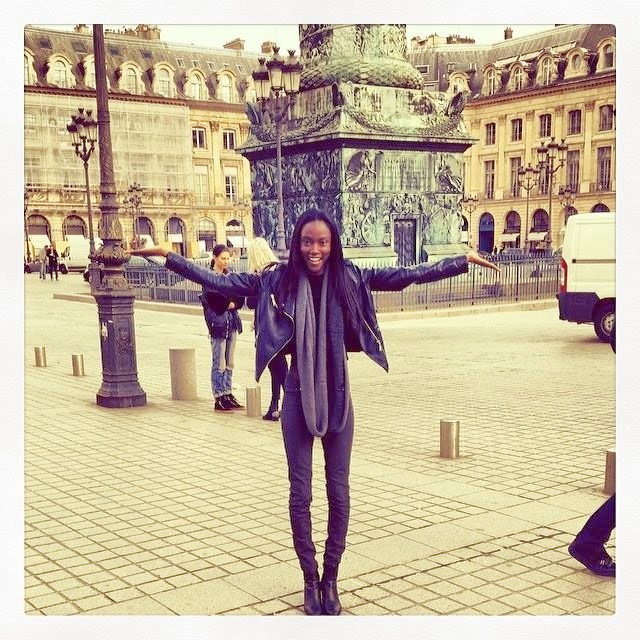 Riley Montana (RM): Thank you so much. I feel great post-Fashion Week and it was a very interesting learning experience to say the least. I was so blessed to meet with a lot of great designers, so yes it completely lived up to my expectations. RM: I was born and raised in Detroit, Michigan. As far as I've been able to research back I am an American. Growing up I had many challenges and obstacles to overcome but they helped mold me into the woman that I am today. Two years ago, I decided to move from Detroit to California to pursue my modelling career. I had family in Los Angeles so I figured it would be easier to start there just to get my foot in the door knowing that ultimately I would move to New York. The first year and a half I was working a regular job... actually three regular jobs! Finally, I got up one day and was like 'you didn't move here to live this life. You didn't leave your life, family and friends all behind in the Mid-West to work jobs at Claire, Sprint, and Radio Shack'. Looking to move ahead, I started shooting with a photographer and friend, Tyren Redd. He shot my entire portfolio and helped me polish my look before we walked into all of the agencies in Los Angeles. I signed with LA Models and basically just tested for seven months there. It wasn't really my market in LA so I asked my agency if I could go to New York in the hopes that they would think I was ready. They completely supported my decision and two weeks later I ended up with my New York Models family and booked the new Givenchy campaign. It was the best decision of my life! 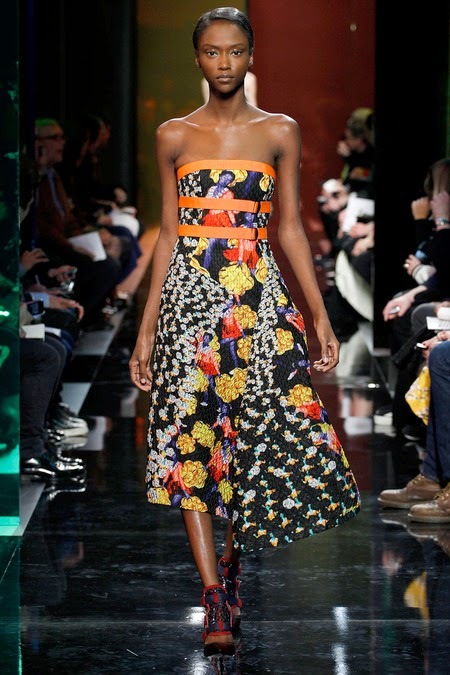 IMA: You racked up an impressive Fall/Winter 2014 show list which included riveting appearances at Oscar de la Renta, Rodarte, Peter Pilotto, Mary Katrantzou, Bottega Veneta, Trussardi, and Nina Ricci. 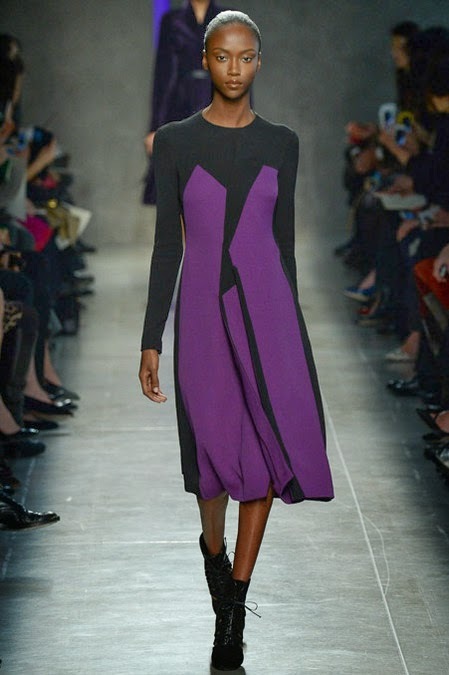 In the midst of this stellar debut, what were your most memorable moments both on and off the runway? RM: My most memorable moments would be when Anna Wintour said "Hello" to me backstage at the Rochas show in Paris. All she said was hello and that was all I needed... Other than that, my most memorable moment would be the fact that I was in another country! I never imagined I would be flying all around the world as a model. I prayed for it all my life but for it to actually happen so soon was by far the most memorable experience for me. IMA: One of your first major bookings was for Givenchy's Spring/Summer 2014 campaign even before having set foot on an international runway! How did the booking come about and was it daunting to land such an important gig so early on in your career? RM: Still it feels crazy and surreal when telling this story but after New York Models found out I was signing with them, they instantly started submitting me to clients. That week, my agent Duncan Ord had me come in and I though I was in trouble or something with the way they all looked at me. I asked them like, "Why is everybody looking at me like that? Did I do something wrong?" They all laughed and Duncan said, "NO BUT YOU BOOKED GIVENCHY!" I instantly was like, "no SHUT UP, quit playing" and he said "I will not shut up but you sure did haha!". I literally fell on the floor and rolled into a ball like a baby and cried. It was honestly one of the best moments in my life. IMA: Were there any important lessons that you gained from the process of collaboration with Mert & Marcus on the Givenchy campaign? RM: Going into the shoot with Mert & Marcus, I was so nervous because these guys are among the greatest. So I didn't know how they would be. I just wanted to take in everything I possibly could. I also wanted to make sure they liked me. You make yourself over think things that you never worried about before. Mert & Marcus were so nice and super funny. So I learned to be myself and not try to make anyone like me. Just being yourself is what makes you appealing to others. Seeing how focused they were, yet still super chill and funny showed me they are humans too and that I should just relax and enjoy the moment. IMA: You have quickly established a reputation as an incredibly strong print model having appeared in the pages of Paris Vogue, American Harper's Bazaar, W, i-D, CR Fashon Book, V, French Numéro, and LOVE. Do you have a preference for print versus runway modelling, and do you feel that the ability to post in front of the camera is innate or something that you have had to study and develop through industry experience? RM: I do prefer print over runway because I can have fun. Runway can become a little stressful. With print you get to be somebody else. I can do something out of the norm. I am becoming that beautiful woman in the magazines that I watched as a child. Growing up, I was a bit weird so I would lock myself in the bathroom and lip-sync to my favourite songs and practice different facial expressions. I also danced when I was younger so it was easy for me to do poses. I don't know if you can be taught how to be a model and how to pose but with camera experience you can always get better and perfect your craft. IMA: Has there been a modelling experience that stands out so far as a clear favourite? RM: A few weeks ago Naomi Campbell mentioned me during a live radio interview she was doing while promoting her show "The Face". When a friend sent it to me I died then came back to life then screamed for a little then watched the video about twenty more times to make sure she really said my name. I've looked up to this lady since I was a child! She is who started my dream. Naomi was who I saw in the magazines and wanted to be like. So for her to know who I am was such a great feeling. Definitely one of my favourite experiences! IMA: Since entering the industry in late 2013, your agent Duncan Ord at New York Model Management (NYMM) has been incredibly active and vocal via social media in promoting you as a star on the rise. What do you value most about your professional relationship with your agent and how have NYMM been instrumental in pushing your career to the very elite level of the fashion industry? RM: Duncan, Duncan, Duncan... You know I honestly don't know where to start. He has been more than supportive. He is truly a blessing from GOD. He is such a hardworking person and for me to have him as my agent is by far one of my biggest blessings from God. From Day 1. NYMM has put me up for nothing but the best. The day I came back in to sign my contract they showed me my chart and I instantly got teary-eyed. To have a group of people let alone one person, believe in you as much as you believe in yourself is a blessing in itself. Once I went back into the agency, I felt like I would be a part of a family there and I knew if I didn't go with them I would regret it later. NYMM took me in with open arms from Day 1. and I love them for that. 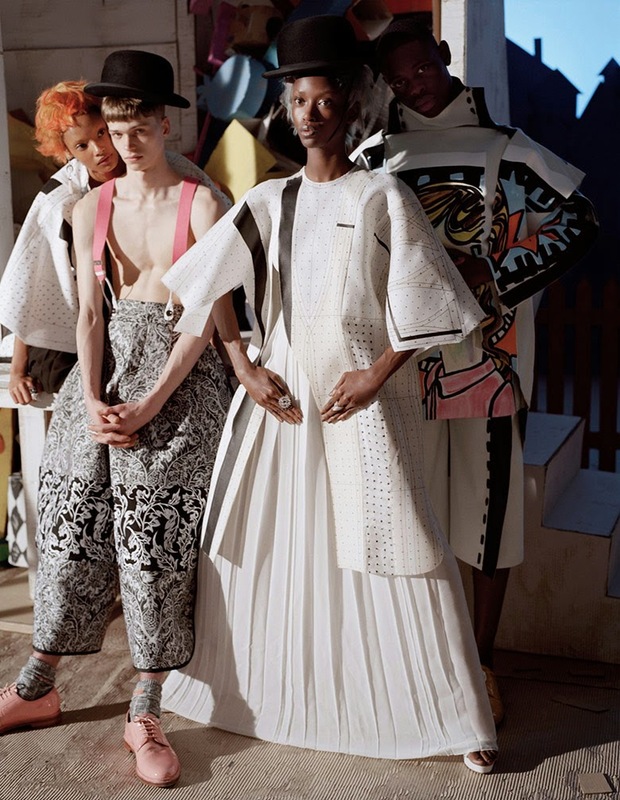 IMA: The issue of diversity has plagued the fashion industry for eons. As a woman of colour, how important is it for you to see models of colour represented in the media and on fashion's runways? RM: It's very important to me. It's sad that race has to play a part in this industry as it does. I just pray that one day it will be about the beauty of the woman and not the colour of her skin. There are 30 to 45 looks in each show. Multiple girls walk twice so there is only room for a small number of models of colour if you're lucky. It's been going on for years though and from what I hear it is getting better. So let's just hope it continues to make progress. IMA: Fashion Week can be incredibly daunting with the endless number of castings and critique that models face. What was your approach going into castings for Fall/Winter 2014 and how have you learnt to cope with the physical assessment that is part and parcel of your profession? RM: Going into Fashion Week I started off over thinking everything. I wanted to make everyone proud. I was worried about the wrong things. It took a talk with Duncan, my agent, for me to realise how blessed I was and that I need to go into this knowing I am not the only girl getting critiqued and turned away. I could be in Detroit working at Popeye's still but I'm not I'm travelling the world walking for brands I've dreamed to work with. IMA: There is an incredibly high turnover of models in the industry with new faces being encouraged by their agents to increase their public profiles via social media. Are you active on twitter, Instagram, and Facebook etc, and what yo you feel are the key components to achieving longevity in the fickle world of modelling? RM: I'm only on Instagram and Facebook right now. Social media does play a huge role but there are also old school photographers who don't utilise social media. You don't see Steven Meisel posting up on Twitter... I feel the key to longevity is showing personality and being humble. Everything you do travels. Everybody loves a person with great personality. So I see where social media cones into play because it is a more personal way to show the world your life and what you're about. IMA: How has your sense of style been influenced by your industry exposure? RM: My style has definitely changed since I've been modelling. I'm so relaxed and casual when it comes to what I wear but now that I'm being so much more exposed, I want to try to experiment with different styles. IMA: Modelling is often perceived as a glamourous industry however the reality involves a high level of commitment, a steely work ethic, and bullet proof confidence. What advice would you offer to other young girls considering a career in modelling? RM: The fashion industry is very tough. Everybody sees the pretty pictures and the fancy clothes but they don't realise the work put in to get there. I'm one of those young girls. I didn't see the hard parts of fashion when starting. I was blessed with such a great start so Fashion Week was my first rough patch. I wasn't prepared for the rejection. I didn't expect to be at fittings until 2 am then up at 5 am for a 6 am call time with three shows back-to-back. This life isn't for everyone. What I can say after it all is that I still love it as much as I did when I started. You have to have real passion for this to actually make it. If you love what you do then the rejection and cruel critiques become nothing but another layer added to your tough skin. IMA: Beauty is very much in the eye of the Beholder. What is your personal definition of beauty, and are there any models that you are particularly inspired by? RM: My personal definition of Beauty is someone strong, humble, and loving. A person who is kind to others. Someone who uplifts others. Some of the most physically beautiful people are yet the ugliest inside. Their negative attitude outshines their outer beauty. I am inspired by any model who makes it in this industry. I mean the ones who really make it because I've come to find that some of the biggest models are the sweetest and humblest. Those are the ones everybody loves and wants to work with. IMA: What makes you "Inoubliable" (Unforgettable, Unique, Memorable)? RM: I feel what makes me Inoubliable is just me being me. Everybody is different in their own way. Everybody is unique. It's when you can be yourself and remain the person you've always been that makes you truly memorable.